I heard a scream from the elementary library, “Aaah! It’s a mouse! There’s a mouse in the library!” I came running in to see one of our librarians pointing at the AC unit under the window. “It ran over there!” She did not want to go anywhere near the critter, but I used to have pet rats and don’t mind mice, so I went over to investigate. The little critter scuttled out and I saw at once that it was a small mole. 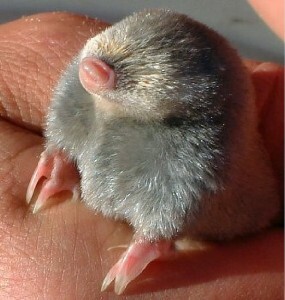 A mole in the library! The little velvet-gray gentleman was trying hard to get away, and we were trying hard to catch him. The other librarians laughed at us from behind the window of the closed library door as we crawled around on our hands and knees trying to catch the little guy. 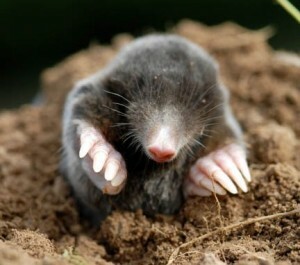 Finally, our school’s headmaster managed to trap the mole under a bag. I succeeded in picking him up and carrying him to the nearest outside door where he was released into the dark dirt. As he dug his way to safety, I gave him a soft pat on his furry back and said goodbye. And how did a mole get into our library in the first place? Was he a spy sent by some other international school’s library staff? He apparently had not come in by himself to bury his nose in a book. Someone must have let him in! The top suspect in the mole mystery is a nearby resident’s cat who had apparently been seen that very morning, darting out of the school through a propped-open door. This particular feline loves to carry around little live creatures in its maw, only to drop them and play with them whenever the fancy strikes. 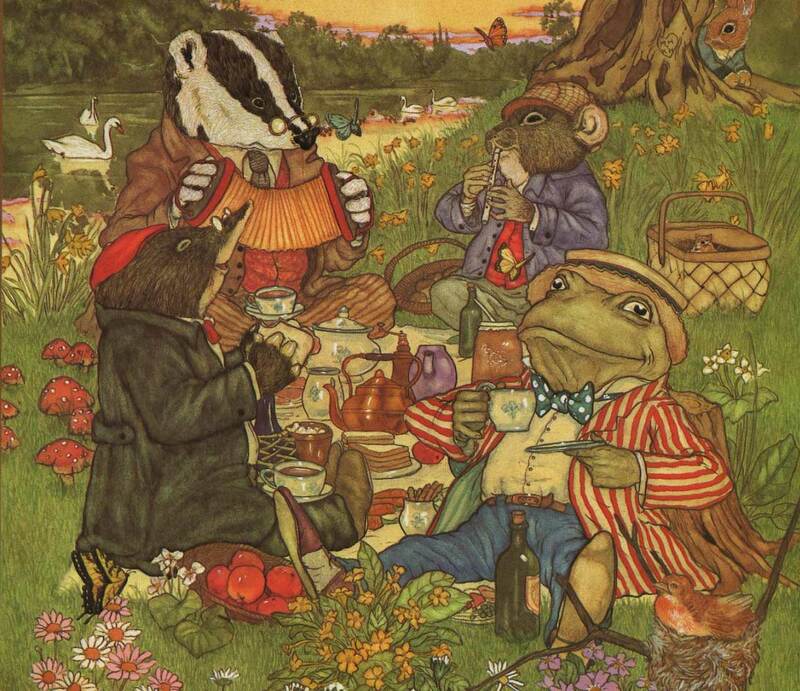 The cat ran away and the mole stayed to play… in the library. 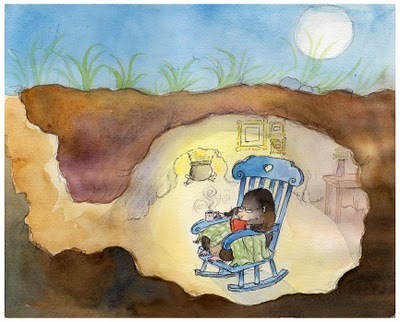 Naked Mole Rat Gets Dressed, Mole in a Hole, One Mole Digging a Hole, A Secret Worth Sharing, Why Mole Shouted, Mole Had Everything, Mole Music, Mole’s Sunrise… and of course, the classic, Wind in the Willows (my favorite version is illustrated by Michael Hague). And one more recommendation: Duncton Wood.